Credit markets are growing increasingly nervous about Rallye, the indebted parent of the French grocer. Luckily, owner Jean-Charles Naouri can draw on bank lines to repay debt. But the more Rallye borrows from lenders, the fewer assets will be left if it eventually collapses. A customer shops in a Casino supermarket in Nice, France, January 16, 2017. The price of Rallye’s 3.25 percent bond maturing in 2024 has fallen to 38.2 percent of par value on Sept. 6, from 99.6 on Jan. 31, according to Eikon. The group’s credit default swap spread has risen from 706 basis points to around 2800 basis points over the same period, according to IHS Markit data on Eikon. 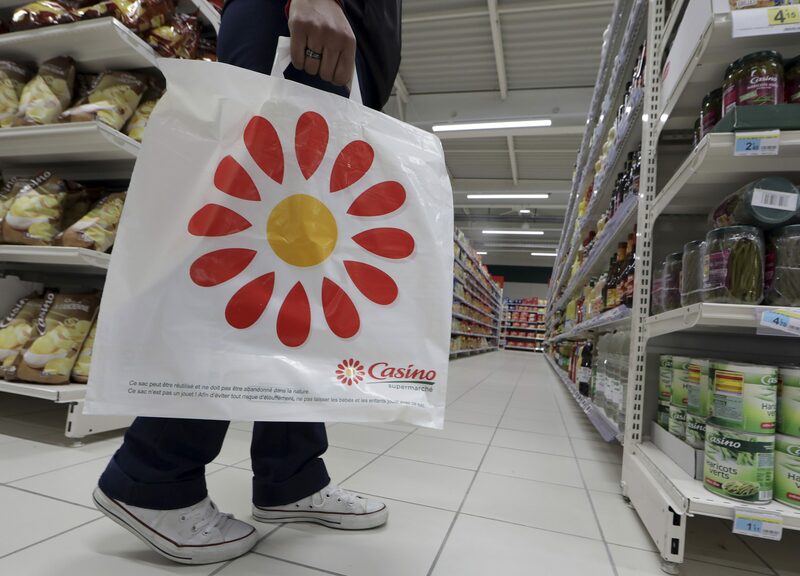 Rallye owns a 51.1 percent stake in French supermarket group Casino. It is owned in turn by Jean-Charles Naouri with a stake of 53.2 percent. Rallye has 975 million euros of bonds maturing before March 2019, according to Eikon. It also has a commercial paper facility of up to 750 million euros, with 311 million euros outstanding, data from the Banque de France shows. The company’s commercial paper is placed by banks including BNP Paribas, Credit Agricole, Société Générale and Natixis. As of June, Rallye had undrawn credit lines of 1.7 billion euros with 20 banks, of which 1.4 billion requires Casino shares as collateral. Rallye said in a statement that the company “has a strong liquidity position, with more than 1.7 billion euros of confirmed and undrawn credit lines. The average maturity of these lines is 3.6 years and Rallye pays commitment fees on all of its credit lines thus the amount 1.7 billion euros of credit lines is secure."